Auctions are both the best places to find property bargains and the most intimidating for those of us who aren’t professionals. 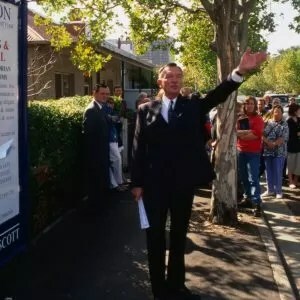 A property auction is – at least in theory – beneficial to both vendor and purchaser. For the vendor selling a building plot or rundown property, it’s a quick way to prise out any local interest and get to the price they want as quickly as possible. By setting a reserve price they are able to avoid selling their plot (or renovation opportunities) for too low a price. They are also guaranteed a completion – assuming the reserve is met – within a month of the auction date. For the plothunter, auctions offer the kind of transparency that enables them to leverage a certain amount of control over proceedings. In the traditional private tender process, you’ll never really know what level of interest there is in the plot, and what other people are/were willing to pay. The property auction process enables you to see how the market feels about a plot. Being successful means that you’ll have to learn how to be comfortable with this process and how to make it work for you. Some lots might be withdrawn due to prior sale. The key to ensuring you don’t miss out is to register your particular specific interests with the auction house outside of the regular auction cycle. They will know about plots becoming available months before they go into the auction. You can make sure you don’t miss out by being in touch with them fairly regularly — and making your case as to why you should get a preferential bite at the cherry. Of course, pre-trading can work in your favour, and if you are interested in a plot that you see in a catalogue, you’ll need to make all the key decisions in terms of price immediately and contact the auctioneer to make an offer. Some may not accept pre-sale bids; others will. Go in with your best price and show you can complete swiftly. Be sure to get hold of a copy of the legal documents that the auctioneer will be able to provide at the viewing stage. Run them past your solicitor and explore as many of the issues as possible in the time preceding the property auction itself. The duration from announcement of the auction catalogue to sale night is usually four to six weeks. In that time you’ll need to decide whether the property is right for you, assess (ideally through a survey) its current condition and potential (including planning approval), get solicitors to read through the relevant documentation to satisfy yourself that there are no pitfalls (e.g. restrictive covenants) and arrange the suitable finance to purchase it. This is a tough ask. Immediately arrange a survey. In order to avoid unnecessary payments, make sure your surveyor is approved to handle valuations for your chosen lender. If it’s a plot, a call to the local building control department would be worthwhile to ask if any known ground conditions exist. As most surveyors take one to two weeks to find time to visit, and then a further one to two weeks to prepare a report, start early. Unless you can access funding through, perhaps, the remortgaging of your existing property, savings, etc., then the funding is likely to be the factor that gives you the most sleepless nights. You could try a specialist broker who will be able to guide you through the process — they are likely to know of the handful of ‘regular’ lenders who can offer a fast-track process to give you a mortgage offer within four weeks and be able to release funds in an additional four. Not to mention that most regular lenders will not lend on properties that are deemed uninhabitable. Most auction buyers use specialist finance providers (e.g. Auction Finance), all of whom are set up for fast completion and will lend in the same way that commercial development finance lenders would — namely with high fees and rates at around 0.5-1% a month. You’ll need to have arranged funding prior to the property auction. If your bid is successful, you’ll be expected to pay 10% of the purchase price as a deposit there and then, with the remaining 90% within 28 days. You’ll also need to bring along some ID (passport is best) on the night. 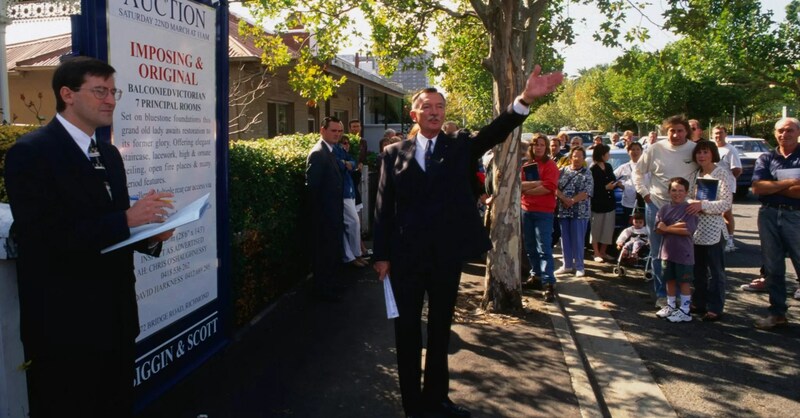 Sometimes a property auction is easy to follow. Sometimes, however, the delivery is so stylised or so fast that it all goes by in a blur. For that reason, it makes sense to go to a few local auctions to find your feet, before the one that contains anything you might be interested in. If you’re going to bid, make yourself known to the auctioneer beforehand and sit somewhere in the room where you can be clearly seen by them and where you can see all of the other people in the room, especially the other bidders. You’ll have to look closely because many of them have developed ways of bidding, such as a slight raising of the eyebrows or a twitch of the nose, that the auctioneer is looking out for but are designed to conceal their interest. One of the more amusing aspects of auction rooms, particularly those that aren’t quite full, is the ‘move to the back’. People will sit down near the front initially but when it comes to bidding time, many people will abandon their chairs and decide to stand on the back wall — in order to get a better view of proceedings (and their competition) and perhaps take themselves out of the spotlight a little. The first bids will be spoof bids designed to get the auction going and are often made by members of the agent’s staff. You may experience a surge of hope as the process seems to reluctantly get into gear. But then it will speed up. Don’t join in the bidding until it starts to slow down again, and the increments by which the price is rising become smaller. Then you can see by the turn of the auctioneer’s head and his outstretched arm, just who you’re really up against. Watch out for the telephone bidder: the person, possibly also a member of the agent’s staff, who confers into a telephone before making a bid. There may or may not be somebody on the other end of the line. It might just be a ruse to get the bidding up. Don’t get carried away. When you go into an auction room you need to have a clear idea of your strategy and the maximum price you can/will pay. But don’t lose your plot for a few hundred pounds. If the bidding is creeping up, try topping it by one last throw of the dice, doubling the increment rise. If the reserve isn’t reached, then that’s when the real bargaining begins and you need to make yourself known immediately to the auctioneer to enter negotiations to buy by private treaty. You won’t be alone but if you can ascertain what the reserve was and make an offer close to or exceeding it, you stand a good chance. So how accurate are the guide prices you’ll see in catalogues? Well, in short, it depends on the lot in question, but in general they are a lot more accurate than they used to be. Before the recession, bidding often used to start well in advance of the top guide; these days it’s a much more realistic assessment of what you might end up paying. Bear in mind, of course, that there might well be a reserve price set in place by the vendors which, if not met, means that the lot will not be sold. One of the basics of buying at a property auction is to set a limit price which should be a price you’re happy to pay and which makes sense. In order to come up with this price, you’ll need to assess the value of the plot. Work this out by establishing an end value for the completed project, subtract your estimated build costs (using the tables in this magazine as a starting point) and an extra 10-20 per cent (for contingencies and profit) and the figure you’re left with is the true value of the plot on offer.